This project born to protect my house. 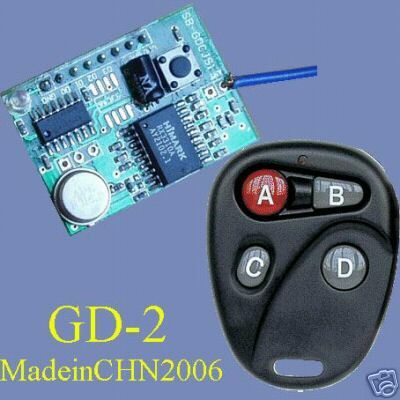 All the functions of this Home Alarm system will be activated and deactivated by this little Rolling Code transmitter show in the photo (buy at: http://www.e-madeinchn.com). 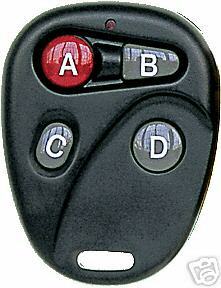 The AG8 is a microprocessor controlled external sounder with a built in strobe. 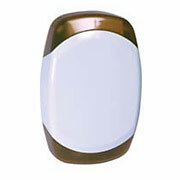 It was designed for simple installation, and offers a wide variety of features and safeguards. Features include silent installation, and two flash settings, optional sounder settings (multi-sweep or two tone), selectable timer, simple testing, and diagnostic LED's that can be viewed after the covers are fitted (buy at: http://www.shssecurity.com price about 80 euro) . One standard built-in wrap around strobe lens. I use an internal red light like this one, fix up my door, to know if the alarm is active (buy at electric shop near my office, price 10 euro). Wide dynamic range of sensitivity with High-Low sensitivity setting. Pulse count options, one or two pulses. 2 x 100uF 25v electr. capacitor. 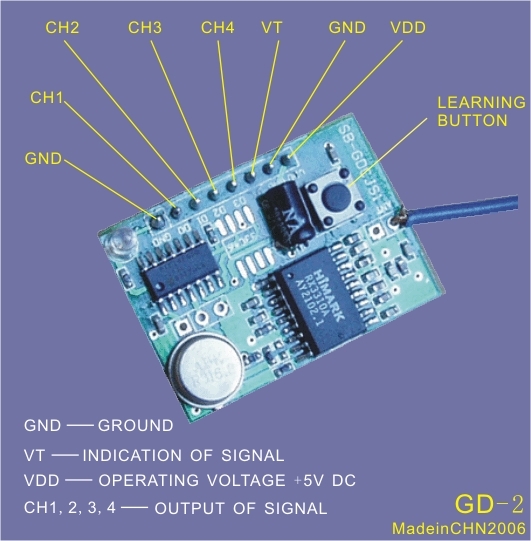 Many of these components are easy to find in any electronic shop and only the receiver module is got at http://www.e-madeinchn.com. 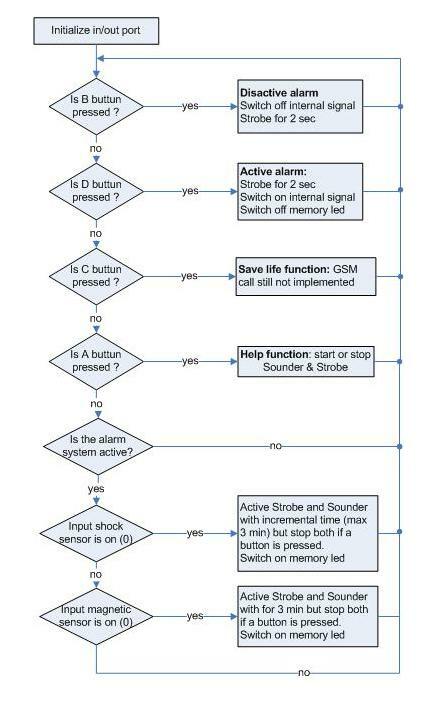 The blue led connected to the pin RA3 of microcontroller is used like a memory to know if the alarm has been activated by an event and its reset after a reactivation. The red led connnected to the power supply before the 1N5406 diode is used to check the power supply connection. Offcource the other 3 microled red near the relais are used to check the output state.